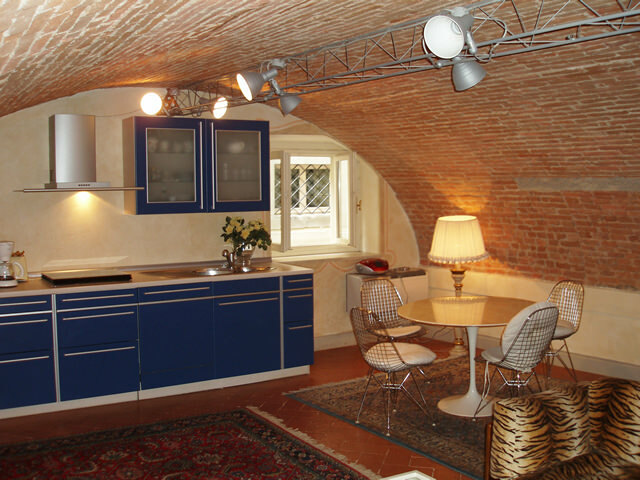 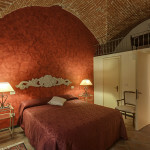 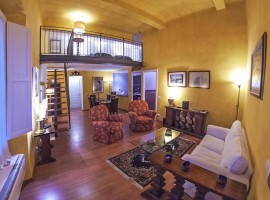 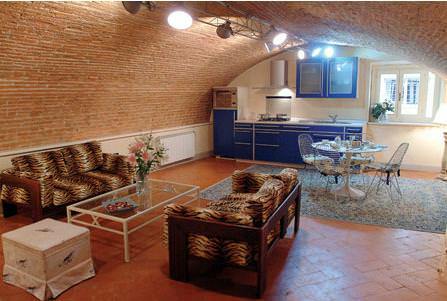 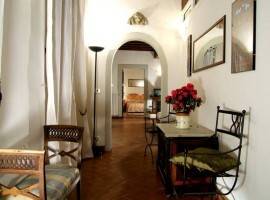 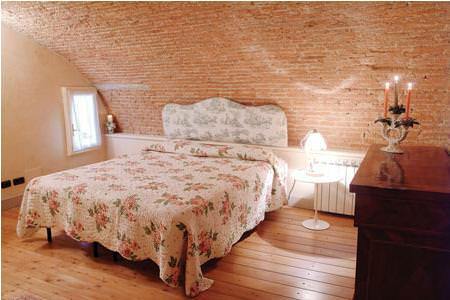 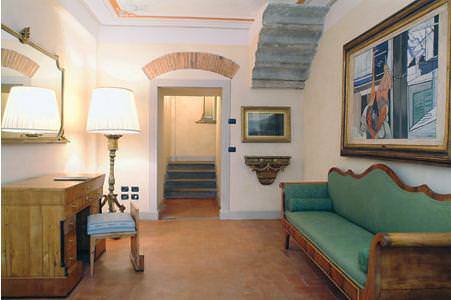 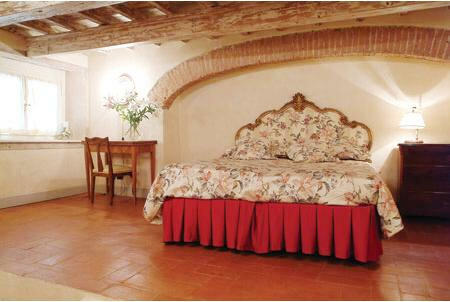 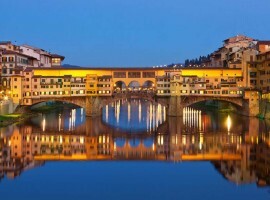 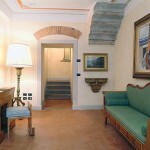 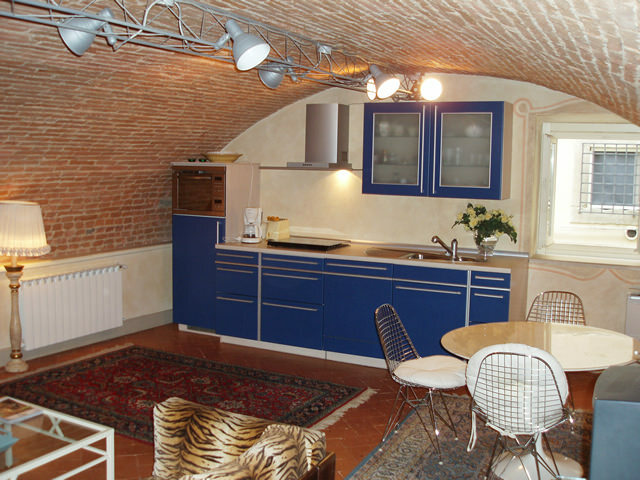 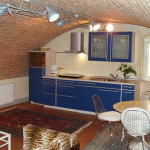 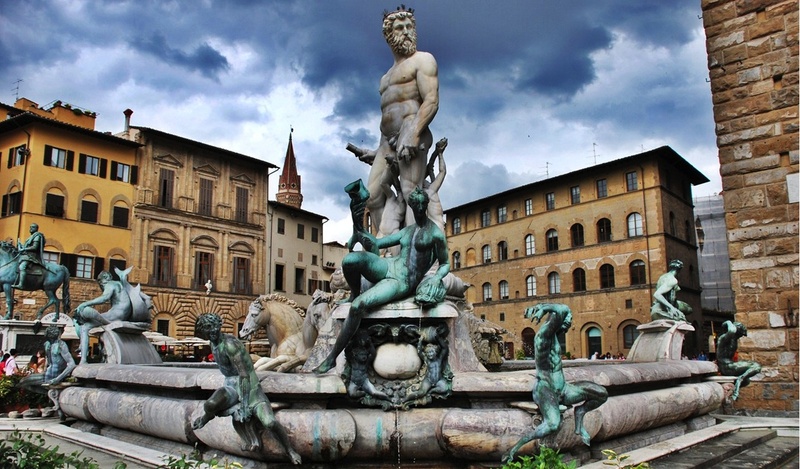 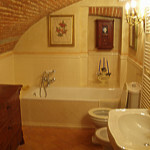 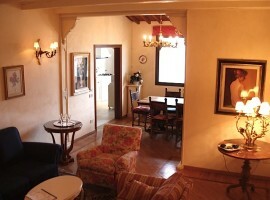 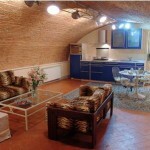 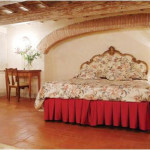 Beautiful apartment near Santa Croce Florence, a paradise of quiet in the heart of Florence. 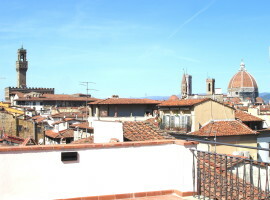 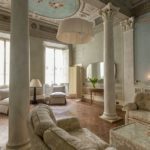 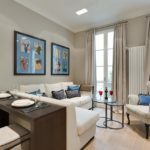 Large apartment (120 mq) located at the 1st floor in splendid Florentine building, just 200 meters from Piazza Santa Croce, Piazza Signoria and Ponte Vecchio. 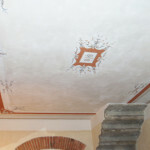 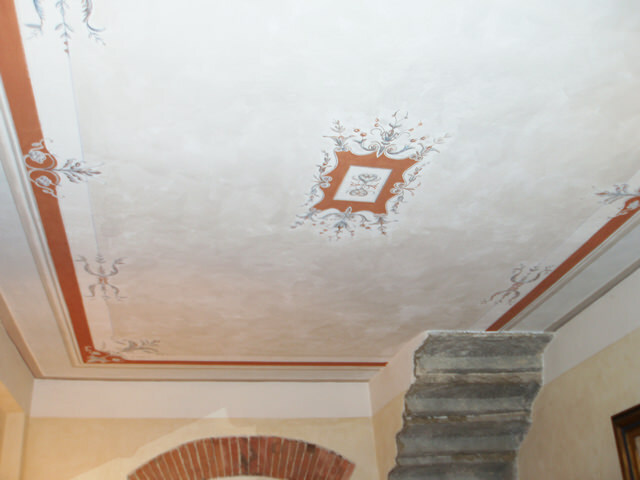 Decorated in an aristocratic Tuscan style. 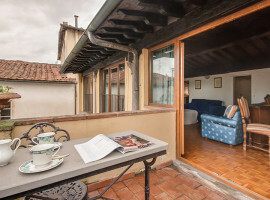 The apartment near Santa Croce Florence is composed with a large entrance hallway-studio, two double bedrooms, a large living/dining room area with a fully equipped kitchen, 2 independent bathrooms. 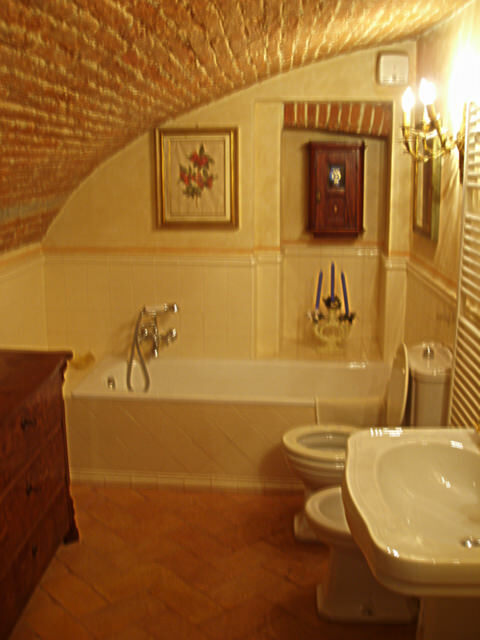 One with shower, 1 with tub. 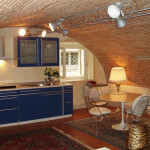 2 double bedrooms (1 can be twin) + extra single bed available, 2 bathrooms. 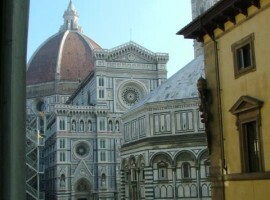 Via Vigna Vecchia, Florence historical centre.